These real art textures are easy to add to alphas, templates, embellishments, backgrounds and more! Apply with the click of a button. This set of seven (6) custom styles are perfect for art journal, heritage, blended or any style of project! PLUS a BONUS vintage music style! Styles were created at 12x12" but can be adjusted to fit larger items. 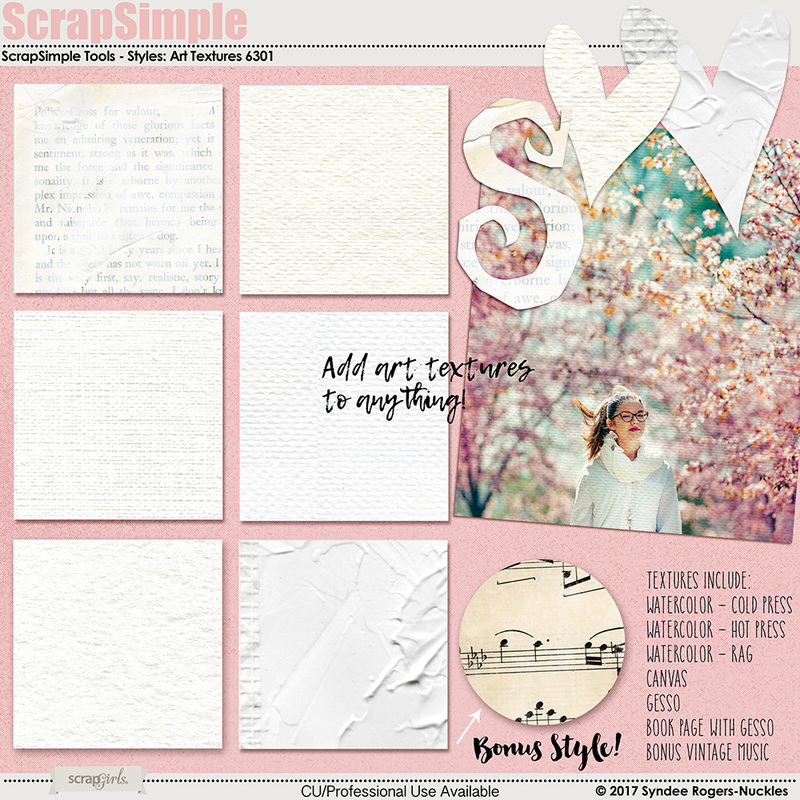 This art journal style kit celebrates being strong and being enough and makes creating fabulous pages fun and easy! 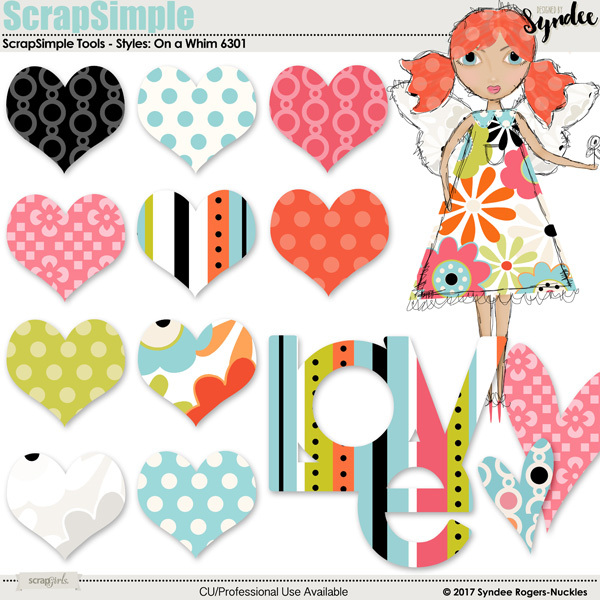 Add realistic art journal textures to your art dolls and other embellishments! 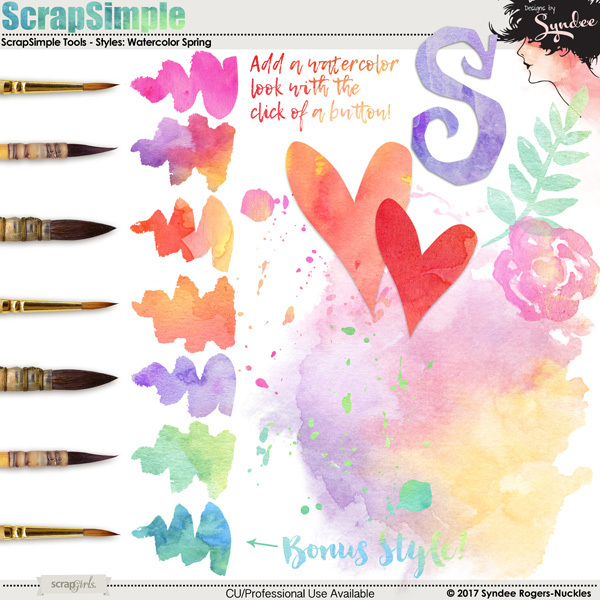 Create instant art with these beautiful watercolor brushes! Create your own stationery, cards, and scrapbook pages with these pretty hand-painted watercolor flowers, leaves and more! Create a masterpiece with these Hand-painted watercolor digital papers! Welcome to the Layouts Deconstructed Series! In this Video Workshop you will learn how to create 3 layoutsand how easy and fun it can be to design layouts with an artistic flair! Photoshop and Photoshop Elements friendly. These retro buttons in pinks and aquas are perfect for adding to your projects, kits and more! Visit the world under the sea with a magical mermaid and all her friends! 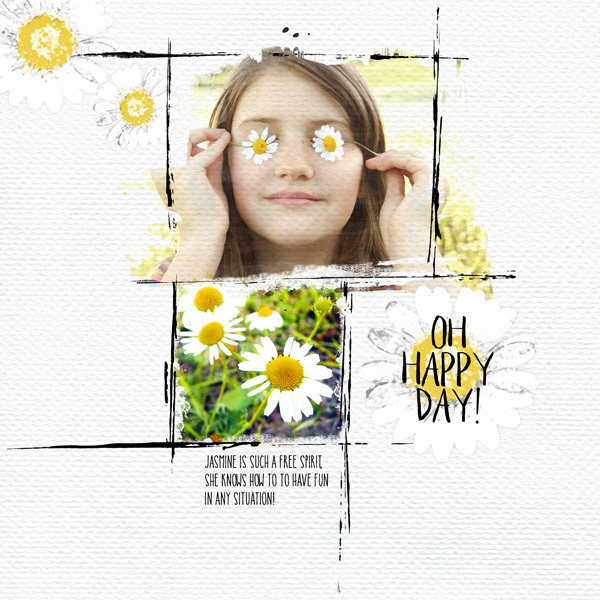 This set of inky frames and scribbles are the perfect accent for your art journal projects! This bundle includes a Mini Class on how to customize Drop Shadow layer styles PLUS three Custom Layer Style sets! 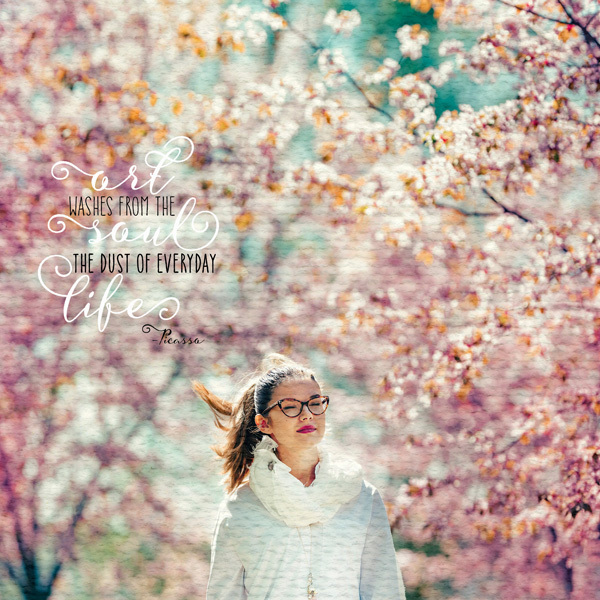 Add a touch of mixed media to alphas, backgrounds, word art, templates, elements and more with the click of a button! Create titles, monograms, backgrounds and more with this fun hand cut alpha brush set!